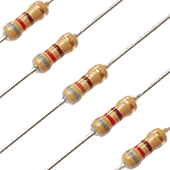 1.8kΩ Carbon Film Resistors (Pack of 5). 1.5kΩ Carbon Film Resistors (Pack of 5). 820Ω Carbon Film Resistors (Pack of 5). 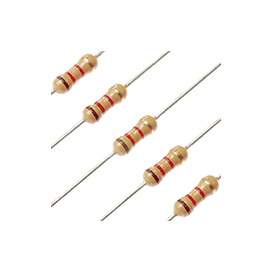 560Ω Carbon Film Resistors (Pack of 5). 390Ω Carbon Film Resistors (Pack of 5). 270Ω Carbon Film Resistors (Pack of 5). 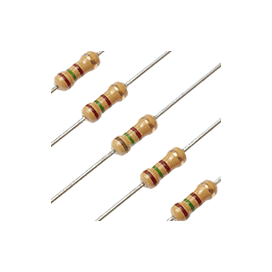 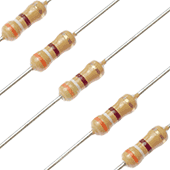 1MΩ Carbon Film Resistors (Pack of 5).